During their entire life, from puppy to adult, dogs can be subject to stress caused by factors such as reproduction, whelping, growth, competition etc. Such stress can result in elevated levels of reactive oxygen species (ROS) which impact the energy level and aging process. Research for new bio-efficient antioxidants has particularly focused on natural antioxidants in order to satisfy the consumer concerns over safety and toxicity. Age and stress can also lead to loss of the gut barrier integrity and negatively impact the digestive system. The immune system is an incredible defense mechanism which protects the body from many kind of disease-causing agents including bacteria, viruses, toxins, and parasites. Non-specific immunity provides protection for dogs from many foreign invaders through cells like macrophages. Innovad offers a range of solutions to support man’s best friend against oxidative stress and gut health risks. 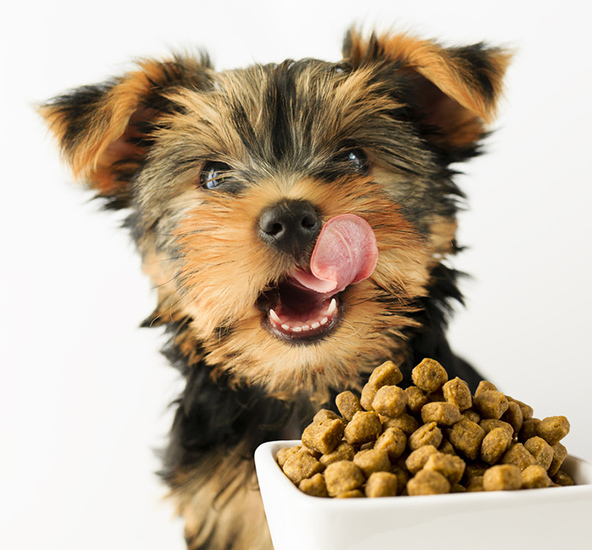 We also help to improve the dog’s immune system and prevent unwanted bacteria growing in pet food.